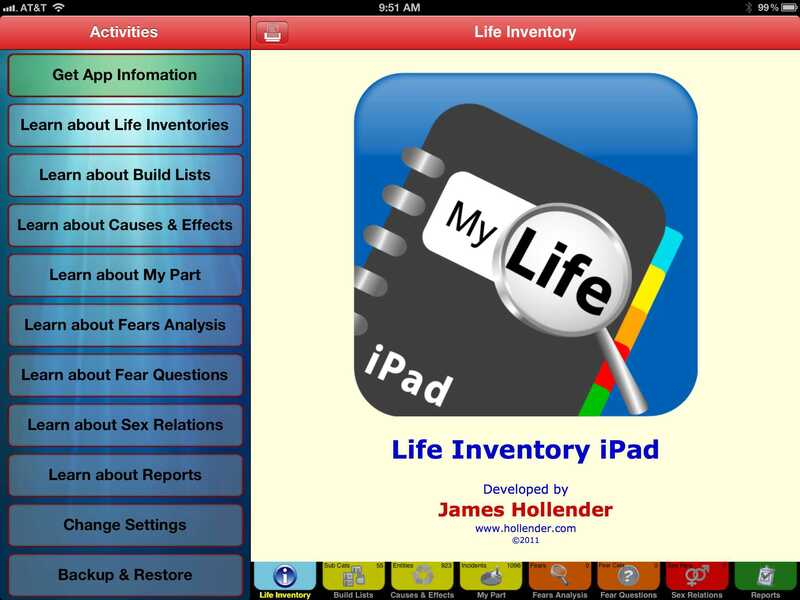 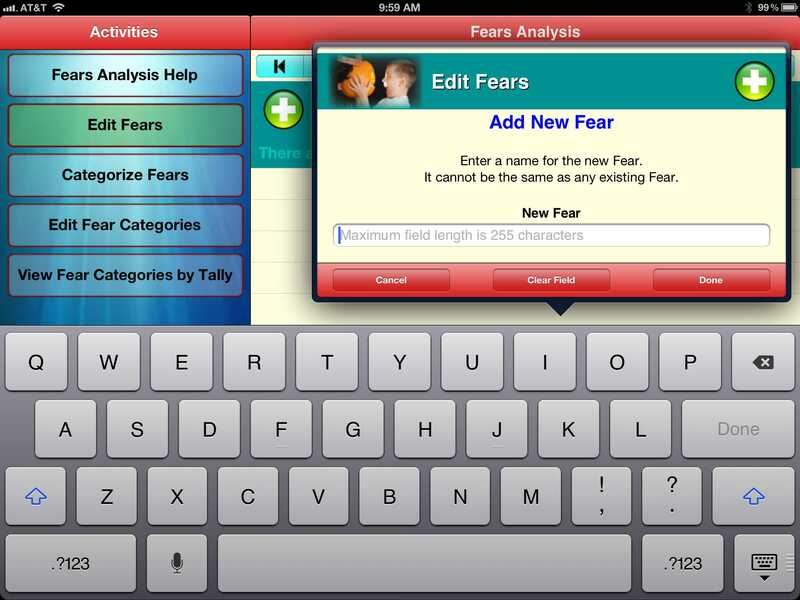 Create your own personal Life Inventory using an iPad. 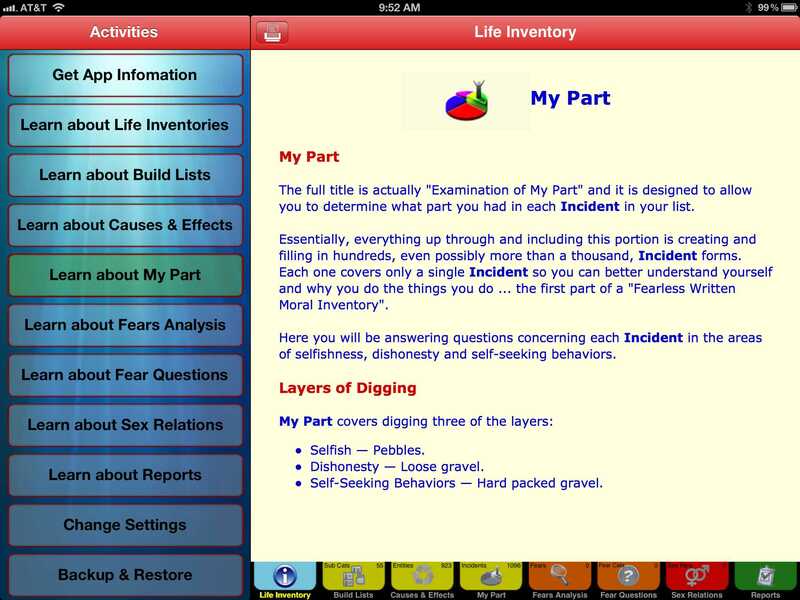 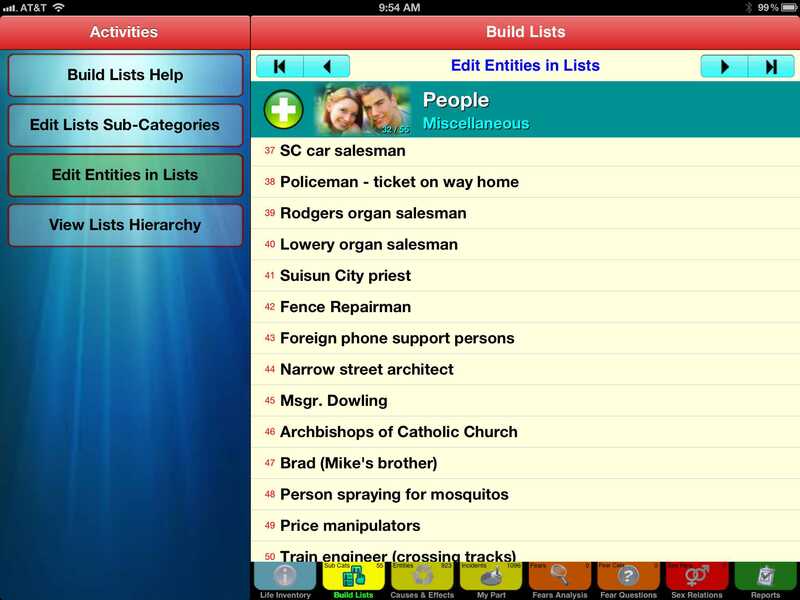 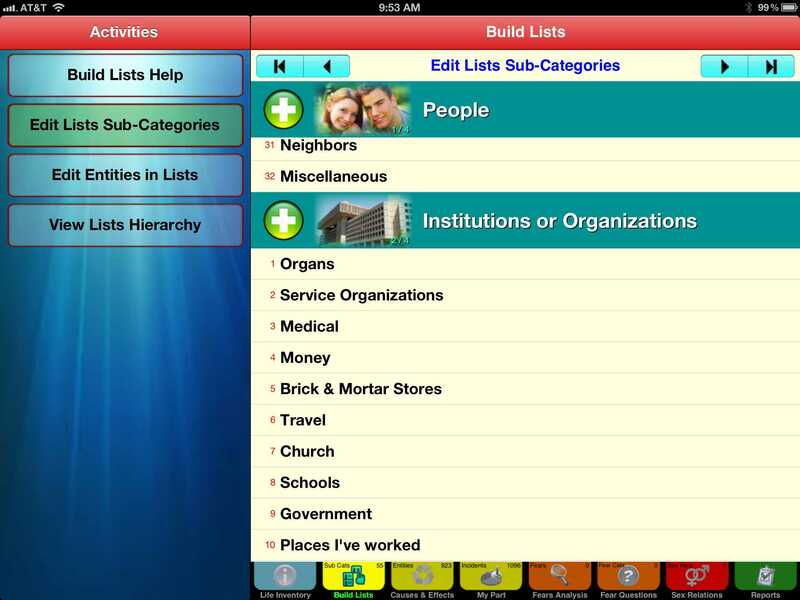 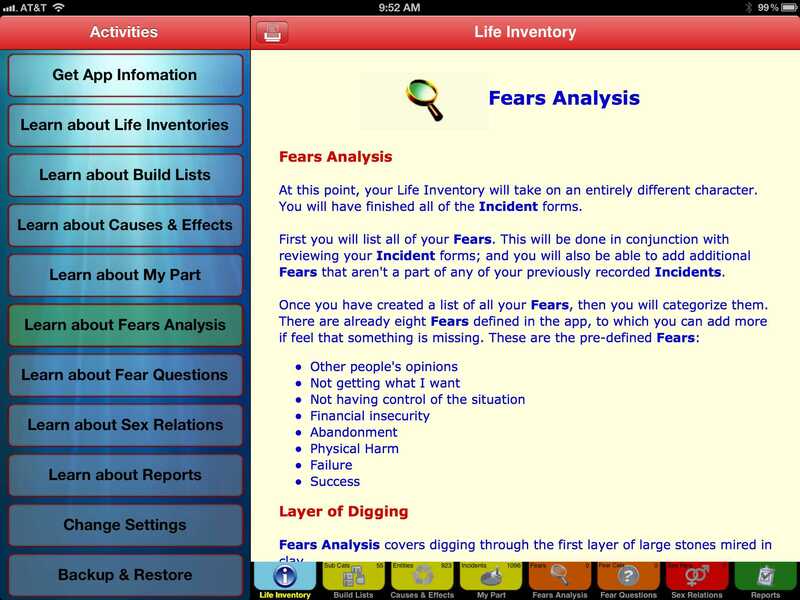 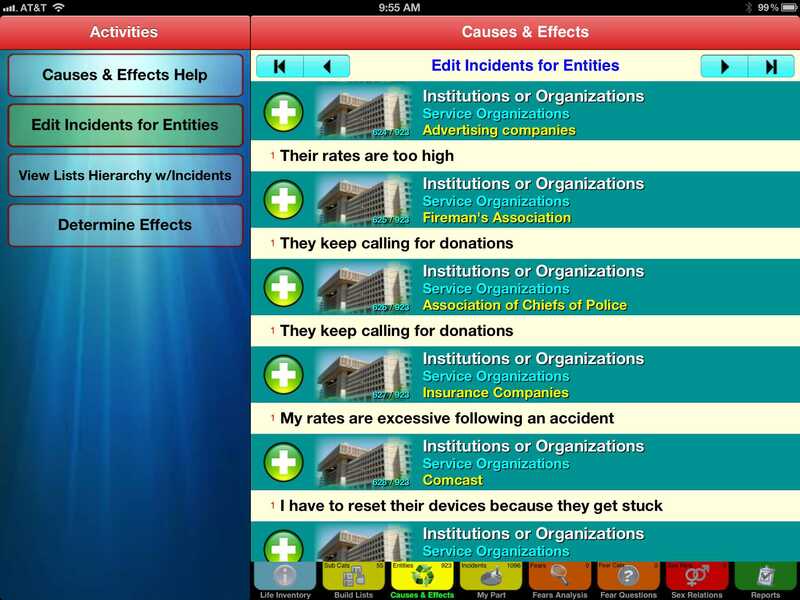 Create your own personal Life Inventory using an iPhone or iPod touch. 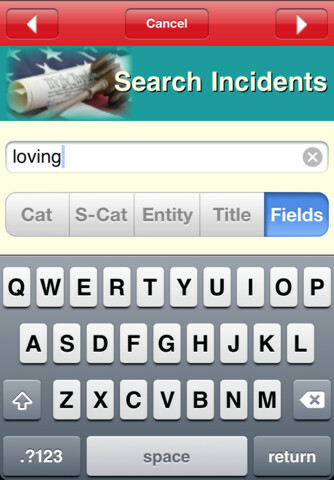 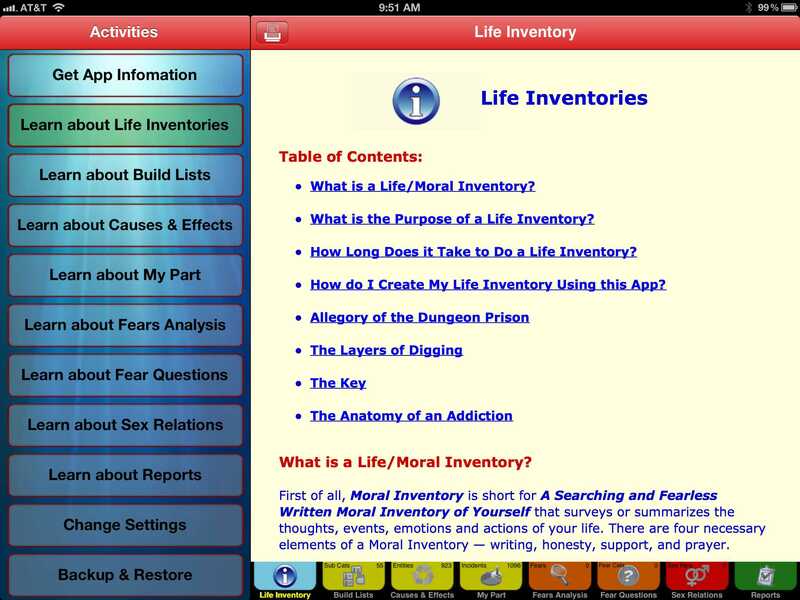 The Life Inventory app was created because of the complexity and length of time needed to do a proper Moral Inventory. 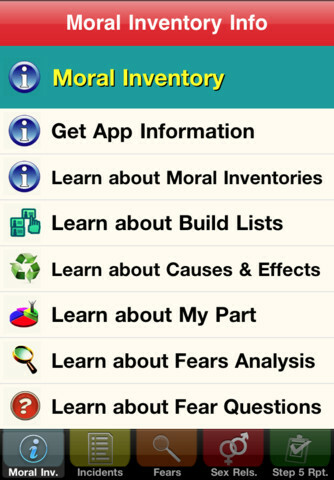 When persons working their way through a 12-step program start creating their own moral inventory and discover that some ways of doing a Moral Inventory might require a thousand spreadsheets, the task seems daunting and many never get around to finishing it, thus depriving themselves of the rewards a Moral Inventory can provide. 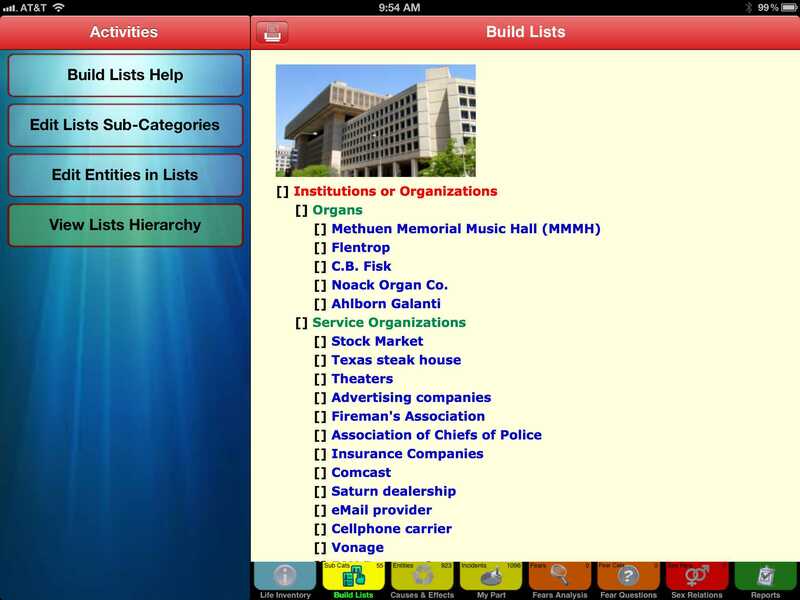 This app is a first attempt at finding a way to make the task less time consuming, while at the same time helping the user create a valuable asset in their recovery process. 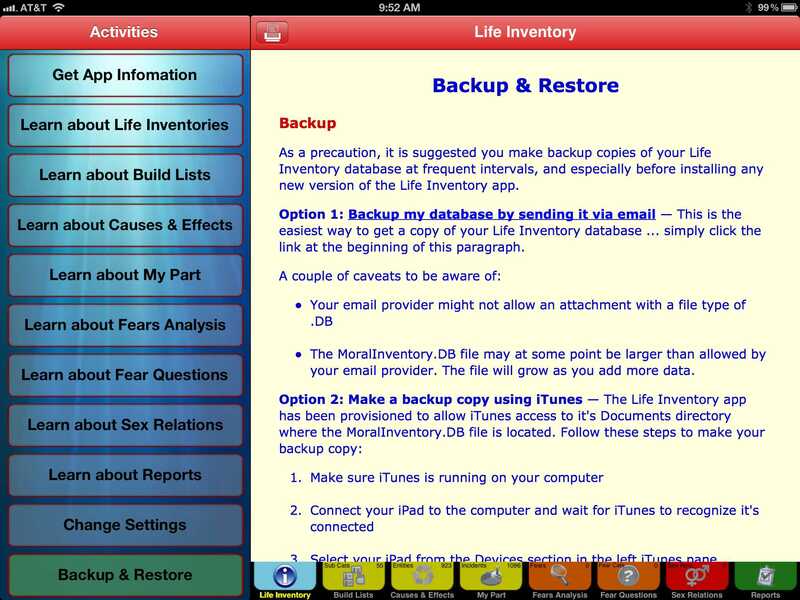 Storage of your Life Inventory data is done using an underlying database which can be backed up and restored if necessary. 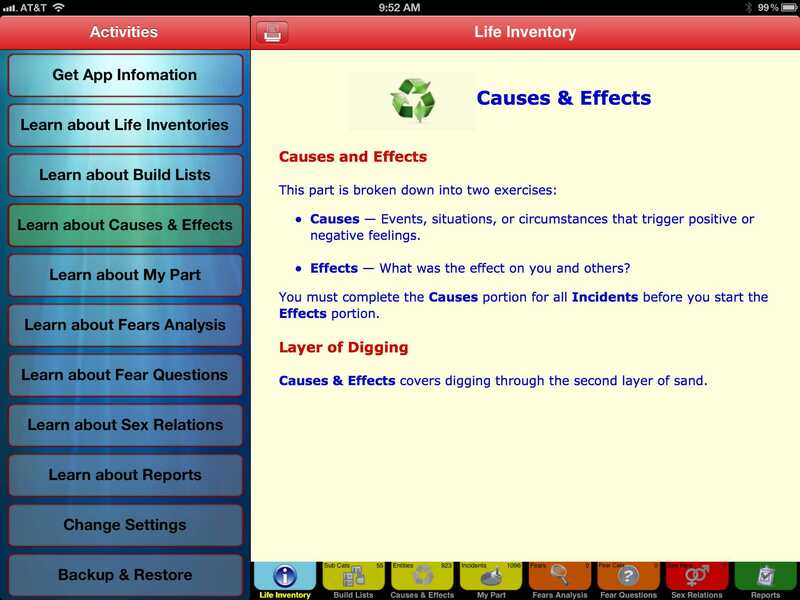 Part 2 - What is a Life Inventory? 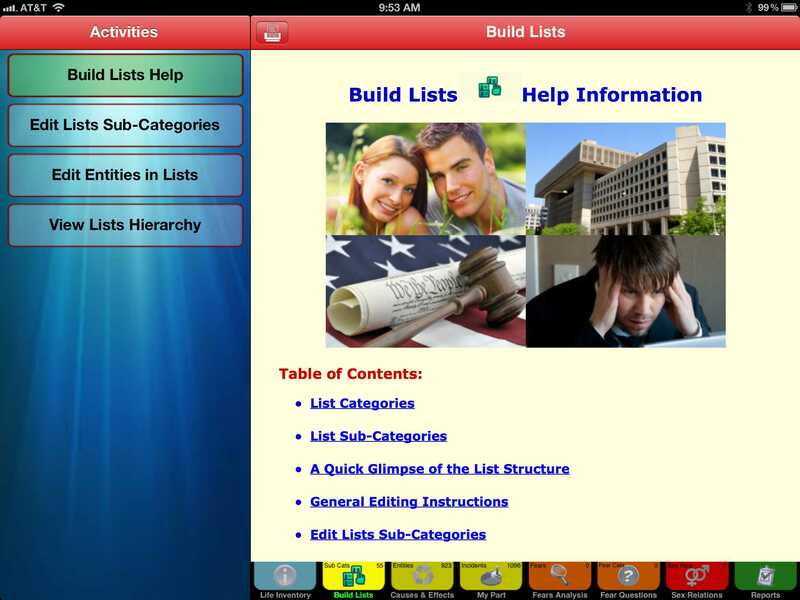 More instructional videos are in development.